Interventional pain management in a convenient, state-of-the-art facility. State-of-the-art treatment for chronic pain. If you are one of the more than 50 million Americans who suffer with chronic pain, you know it’s not just a physical state. Caused by many common diseases and disorders, chronic pain can dominate your life. Relief through innovative procedures and pain management solutions are now just a short drive away. 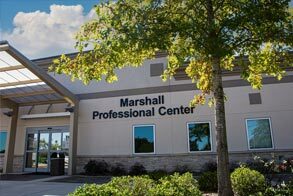 For more information, please call 256.894.6941 or click here to view all services available at the Marshall Pain Clinic. A physician referral is required to make an appointment.